World class residential development offering premium apartments amidst vast green spaces and a serene environment along with a host of world-class features and amenities. Built by a dream team, every aspect of Emami City is thoughtfully designed to provide its residents with a living experience of the highest standards. Emami City is just 3.8 kms. 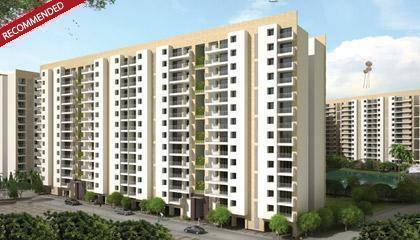 (7 mins) from Kolkata Airport and 1.3 KM from VIP Road and Jessore Road X ing. 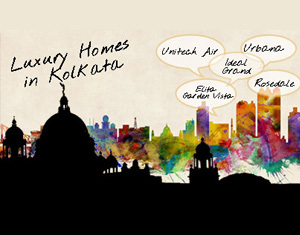 Moreover Dumdum Metro is 3 KM away and Howrah Station approx 20 Mins drive via Belgharia Expressway. These connection makes commuting very convenient.in Kolkata and to outstation.Many Hospitals, Schools & Colleges, Restaurants, Clubs, Shopping Mall and Entertainment Joints are located nearby, many more like City Center 2 , Haldirams etc within 15 Min radius. Since its inception in 2006, Emami Realty has been focused on redefining the real estate experience in India and beyond. Committed to creating world-class spaces in residential, commercial and retail segments, the company's uncompromising attitude towards quality has since seen it witness rapid growth and expansion. In fact, by partnering with the best in the business, Emami Realty has the experience in developing 3.6* crore square feet of real estate space across residential, commercial and retail sectors. An Emami Group company, a range of projects stand as testimony to the company's pledge of building value through excellence. The company portfolio currently includes projects in the metropolitan cities of Mumbai, Kolkata and Chennai as well as in the fast-growing cities of Coimbatore, Hyderabad, Bhubaneshwar, Jhansi, Madurai and Indore. The Latest addition to Emami's Portfolio is an iconic project in Colombo, Sri Lanka. The company is backed by the vision and business acumen of the Emami Group's co-chairpersons - Mr. R.S. Agarwal and Mr. R.S. Goenka. Present across sectors such as FMCG, Paper, Cement, Agrotech, Healthcare, Retail and Real Estate with a cumulative business valuation of over Rs. 30,000 crores#. An Emami Group company, a range of projects stand as testimony to the company's pledge of building value through excellence. The company portfolio currently includes projects in the metropolitan cities of Mumbai, Kolkata and Chennai as well as in the fast-growing cities of Coimbatore, Hyderabad, Bhubaneshwar, Jhansi, Madurai and Indore. The Latest addition to Emami's Portfolio is an iconic project in Colombo, Sri Lanka.